Clipping Chix: BestBuy.com: Google Home only $99 (reg. $129) + FREE Shipping! 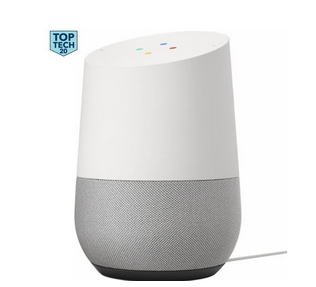 BestBuy.com: Google Home only $99 (reg. $129) + FREE Shipping! Head to BestBuy.com, starting 11/24 and purchase this Google Home for just $99 (reg. $129) plus get FREE shipping when ordering this product! You’ll be saving almost $30 off this offer, so do not miss out on this low-price. Product Description: Simplify your everyday life with the Google Home, a voice-activated speaker powered by the Google Assistant. Use voice commands to enjoy music, get answers from Google and manage everyday tasks. Google Home is compatible with Android and iOS operating systems, and can control compatible smart devices such as Chromecast or Nest.